Touched by Khoa Trọng Nguyễn’s Instant Noodle, I wanted to find out how a Vietnamese American growing up in the US could make such a realistic Vietnamese film with a wonderful sensitivity. I connected with him at the Sixth Vietnamese International Film Festival in Orange County, CA. And we finally talked at length through this E-mail interview. 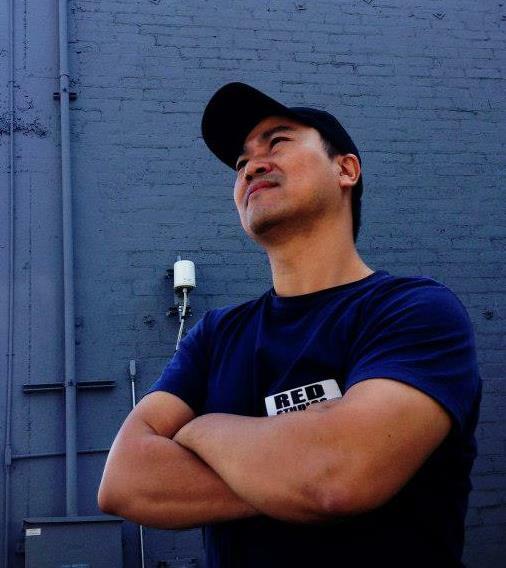 Khoa is living in Sài Gòn for the past eight years, teaching at RMIT University Vietnam there, and making films. What is your story of visiting Việt Nam and staying there? I returned to Viet Nam for the first time in 2000 with my parents and younger brother. That trip really opened my eyes to the country which was far different than I had imagined it to be. I felt at peace there. I didn’t feel out of place. I could understand the feelings my parents had for their homeland and why it was important for me to keep my heritage. It made me appreciate how hard my parents always pushed my brothers and I to learn Vietnamese and not lose our roots. As a result, I could read the street signs, communicate with the locals, and understand their stories. After this initial trip, I found myself saving up vacation days and returning every year for 2-3 weeks at a time. Then in 2005, I took the next step and moved back. It’s been a wonderful journey thus far. How did your concept of ‘Vietnamese’ or ‘Vietnamese-ness’ change before and after you lived in Việt Nam? What were the joys/challenges in presenting it, or the challenges in maintaining it, in Instant Noodle? Before coming back, I had always seen myself as being Vietnamese and no different from anyone else who’s Vietnamese. But when I returned to Vietnam, I immediately received the label of “Viet Kieu” which distinguished me from the locals. But I’ve never really seen myself as different. I’ve been fortunate to have lived abroad, to have an education, and to be exposed to many different things. That’s why I always want to share my experience and knowledge with people who haven’t had the opportunities I have. I’ve learned from my father that no matter where you go or live in the world, you will always be Vietnamese. I’m proud of my heritage and I always strive to bring more attention and awareness to Vietnam and the culture through being a good citizen. Through film, I hope to share the stories of Vietnam to the world. So when people ask me if I’m “Viet Kieu”, I often say no, I’m Vietnamese. Why should there be a differentiation? Instant Noodle is a Vietnamese Film, not a Viet Kieu Film. How did Instant Noodle turn into a comedy? Instant Noodle was always meant to be a comedy with strong dramatic moments. However, the humor was never intended to be over the top, but there was a strong suggestion by the distributors (investors) to push the humor since it was a Tet release. I think the movie would have faired better theatrically had it not been released during that time period. I fought very hard to keep the dramatic scenes and to control the comedy or else it would have been an all-out slapstick extravaganza with no deep meaning. 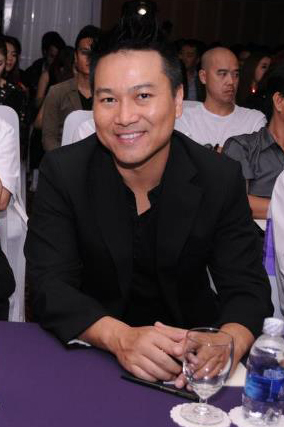 Director Khoa in Việt Nam – Photo courtesy of Khoa Trọng Nguyễn. If you are more of a drama director, what kind of drama do you have in mind for a future film? I like family dramas. I like putting complex and interesting characters in simple situations and seeing how they interact with one another. It’s more real life than plot-driven pieces or genre films. I want to do dramas that push the audience to the brink of tears. I want people to think about how we treat one another. I want to tell stories that move people and leave impressions in their mind and heart. I’m in the process of writing a drama about how lives intersect one another in a small village in Vietnam. Where did the inspiration for your stories (14 Days, Instant Noodle, and the current one you’re working on) come from? Stories come from observation and experience. In addition, visiting Vietnam and hearing the stories from the many young overseas Vietnamese who came back formed the inspiration for 14 Days. It’s a story about a young Vietnamese man who returns to Vietnam for the first time for a 14 Day vacation and how his life is forever altered by the experience. Instant Noodle came out of my observations of the sweeping changes in Vietnamese society the past few years. It’s a dramedy that attempts to show how Vietnamese TV dramas are a reflection of real life and vice versa. The next film that I plan to write is inspired by several headline news stories that I’ve read while living in Vietnam. The intersecting stories will be woven together into a tapestry that makes up the village that the characters live in. As someone who likes family drama, do you tend to find good stories in big cities like Sài Gòn, Hà Nội, or in small towns? Good stories abound everywhere in Vietnam yet so few of them have been told. Because I live in Saigon, shooting a movie here makes sense from a budget perspective. But I am not adverse to shooting a movie elsewhere in Vietnam. Part of my film 14 Days was shot in Soc Trang in the Mekong Delta. In the end, it’s about a good fit where the setting adds ambiance to the story. Vietnam is an incredible backdrop for a story whether it takes place in the city, a small town, or the countryside. Have technical challenges got in your way before during the process of making movies? Sure, when you make films on such low budgets, there are bound to be technical challenges. But you learn to work smarter and use your creativity to solve problems. With smaller budgets, you can’t always get all the cool shots you want, but you make do with what you have. What do you believe the function(s) of cinema is(are)? How do you balance the elements? I think a successful film is a balance of the three. What do you think of the concept of cinema as a means “to inspire”? Cinema is power. Like clay, in the right hands, it can tell the story of an entire generation. The impact could be immediate or it may not. It might not be realized for decades, but could be the inspiration for future artists and storytellers. When you create a film, you put your heart and soul out there for everyone to see, hear, wonder, criticize. You’ve made a statement, you’ve told your story, you’ve let others hear your voice. Some will connect with it, others won’t. But you’ve put it out there in the public sphere where it has a life of its own. No one knows exactly where it will go. Your hope is that it touches, inspires, and entertains people. I’m fortunate to have had the opportunity to do so. Photo courtesy of Khoa Trọng Nguyễn. What are the stories of Việt Nam/Vietnamese people that you wish to see present more often in Vietnamese/international films? I would like to see more dramatic, character-driven films made by young Vietnamese people throughout Vietnam. I want to hear their stories told in their own voices. What do you think you have brought to the film industry in Việt Nam? On the reverse, how does Việt Nam change your life? I think I have barely begun to scratch the surface. I would like to continue to tell interesting stories that inspire a new generation of young Vietnamese filmmakers. The film industry in Vietnam is still in flux. Due to budget constraints, there is still a limit on the types of films that can be made because investors want to at least recoup their costs and certainly make money. Certain types of films like art house films or character-driven dramas are risky to make. Once there is a better infrastructure in place such as more theaters throughout the country and more investments made to produce films, then the industry will flourish and filmmakers will have more opportunities to tell more interesting stories. Having lived in Vietnam for the past 8 years, I have learned to be more caring, compassionate, and understanding. I am very fortunate to have the opportunity to do what I love. Where do you see the Vietnamese film industry in five years, ten years? It will continue to grow. Hopefully, the films will not just be for a Vietnamese audience to watch, but they will be for the world to experience and enjoy. Where do you see yourself in the Vietnamese film industry in five years, ten years? I hope to continue making films and teaching film. Both are extremely fulfilling. If you have to describe your life in Việt Nam, what is the sketch like? The sketch would be of someone still in search of inner peace. I don’t think I’ve done my best work thus far and hope the opportunities continue to come. However, I don’t want to rush things. I will wait for the right time and partnership that allow me to make a film my way even if it means I have to make it happen on a very low budget. I want to be a part of the independent film movement in Vietnam. I want to tell small stories with compelling characters that resonate with an international audience throughout the world. What are your favorites: book on Việt Nam, book in Vietnamese, Vietnamese (historical/modern) character, Vietnamese dish, Vietnamese traditional (or modern if any) practice. Do you have a favorite Vietnamese thing? You heard it right here, I love Vietnamese food from all three regions of the country. Food is what brings people together. When I was young, my mother kept the family together with her delicious cooking. A family that eats together, stays together. But now that I’m far away, eating Vietnamese food brings me closer to home. The Vietnamese version of this article has been published by the Vien Dong Daily News. Read the online Vietnamese version. Possessing a strong desire to tell story, in 2006 Khoa embarked on a three week journey shooting a feature documentary about the trials and tribulations of cycling through the Mekong Delta. In 2007, Cycling South won 3rd place in the Southeast Asian Sports Film Festival in Ho Chi Minh City and competed in the World Sports Film Festival (FICTS) in Milan, Italy. That same year he penned his 4th feature screenplay chronicling the experience of a young overseas Vietnamese returning to the homeland for the first time. 14 Days written and directed by Khoa, premiered nationally in 2009 and won several prestigious awards including best screenplay, best actor, best supporting actor, and the silver award for best film at the Golden Kite Awards in Hanoi. It also garnered best supporting actor and the audience award at the Golden Lotus Awards in Ho Chi Minh City. His most recent work titled Instant Noodle which released in theaters nationally on January 12th, 2012, is a romantic comedy/social satire about the Vietnamese television industry and the new way of life in bustling Ho Chi Minh City. As the economy grows, the Vietnamese people begin to work longer hours in an attempt to secure a better life for themselves and their families. Running parallel to the societal changes is the Vietnamese Television Industry which races along, producing “instant noodle” dramas to make a quick buck and entertain the masses. With life imitating art and art imitating life, Instant Noodle is Khoa’s attempt at telling a socially conscious story that is both entertaining and endearing. 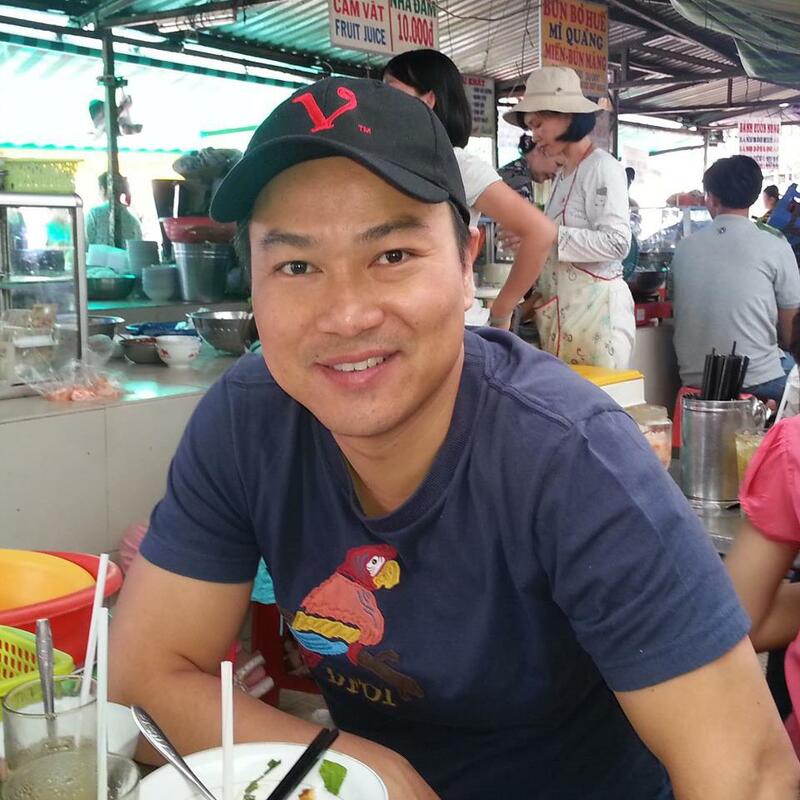 Khoa also spends time teaching students how to write stories and produce films as a Lecturer in the Multimedia Design Program at RMIT University Vietnam. He wants to play a small role in inspiring the next generation of storytellers and filmmakers.